After World War II, men were mostly clean-shaven, reflecting a military ethos that came to dominate corporate life, Peterkin said. Over the next decades, facial hair was adopted by subgroups like beatniks and hippies. Since the mid-1990s, it has been slowly spreading to the point that now the mountain man beard is all the rage across North America. The 2008 financial crisis added to the beard momentum, with some men who lost their jobs ditching the conformist look as they reinvented themselves. "To grow a beard is to start a new life and to have more confidence in yourself. You look a little older, so people have more respect," said Salvador Chanza, a 31-year-old master barber from Spain who trains professionals. 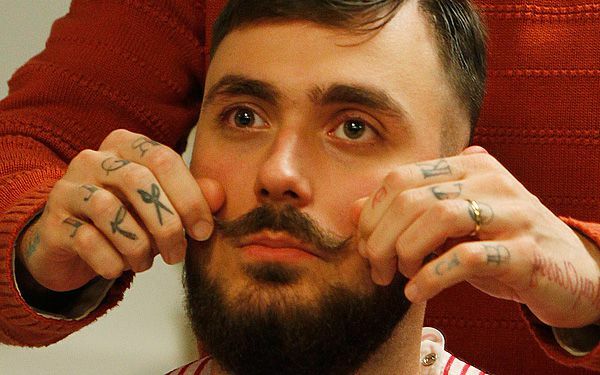 Now facial hair is hugely popular across Western Europe, especially in fashion-conscious Paris. And across the globe, it's the month of "Movember" when men are encouraged to grow a mustache to raise awareness and funds for men's health issues. Piotr Zuchowski, manager of the Warsaw shop, said barbering is reviving after vanishing during Poland's communist era. Although democracy leader Lech Walesa sported an impressive walrus moustache, most communist-era workers were clean-shaven. I feel like if I could grow a beard, the only reason I wouldn't shave it would be laziness. I think it's cool that people are using it as a way to express themselves, instead of just condemning themselves to not having anything. You can tell people's individual style by how they decide to grow theirs. I would definitely grow a beard, but I would really let it grow around deer season. Actors, Athletes, and Hipsters affect fashion because everyone wants to be like them and be cool. Duck Dynasty really helped with the popularity of beards. Beards used to be thought of as redneck or not cool. Now you see them everywhere. They affect fashion because a lot of normal day people look up to these althetes, actors and hipsters. If they like the look and think it looks nice on someone who inspires them then they will most likely want to try that look and possibly keep it for a trend. I think its kinda gross to have facial hair, so if I got the chance to grow a beard or a mustache I would probably say no. Its there choice to have facial hair and if they think it makes them look older or if it gives them more self confidence then let them be. I find it weird how one person can start a trend. Its much less gross when a guy has his beard or mustache contained and not all over the place. I think its kinda cool how they now have "movember" to raise awareness of mens health issues. This is a topic I haven't heard of before and it sounds interesting to me that so many people won't shave at all and if I had a beard I would shave. 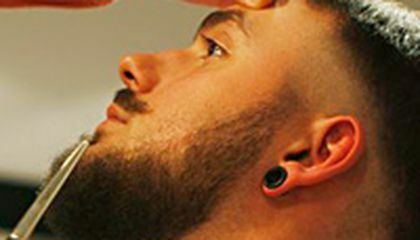 Growing a beard can be common place such as tattoos and piercings such are looked apon as different in society but otherwise are normal for some men such as no shave November. I think having a beard is a good way to express yourself in your own unique way. The beard represents freedom in your decisions. I think a lot of people like it because they can go without shaving and caring about maintaining it which makes for one less thing to care for. Cool aritcle so that's why people do no shave November im guessing but weird but with a good cause I guess, and yeah more men now are actually growing facial hair as a sense of fashion! I dig and let's hope the trend continues to grow. i don't think i would let my beard grow because i don' think it fits me and it i don't like the way it looks because it is so hairy and you would have to wash it whenever you take a shower o prevent it from smelling bad. Actors,athletes,and hipsters affect the fashion style depending on what they wear or how they look because they being watch all over the world on television by numerous people so their setting a certain trend and style that other people can pick up on and use it for themselves .